Cilic face the winner of the second semifinal on Friday between Federer and Hyeon Chung of South Korea. Image Source : GETTY IMAGES Marin Cilic celebrates after winning the semifinals. 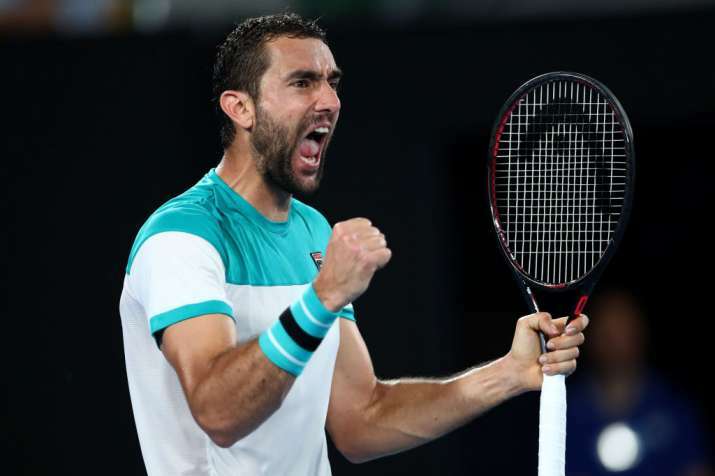 Marin Cilic has advanced to his first Australian Open final, beating Kyle Edmund of Britain 6-2, 7-6 (4), 6-2. The sixth-seeded Croatian player becomes just the second man outside the so-called Big Four of Roger Federer, Rafael Nadal, Novak Djokovic and Andy Murray to reach the final at Melbourne Park in the last 10 years. Stan Wawrinka, the 2014 champion, is the other. Cilic reached his third career Grand Slam final after the 2014 U.S. Open, which he won, and 2017 Wimbledon, which he lost to Federer. Cilic will also rise to a career-high ranking of No. 3 by making the final.